WR Case & Sons Navy Blue American Workman Sod Buster Jr. Pocket Knife | BUDK.com - Knives & Swords At The Lowest Prices! 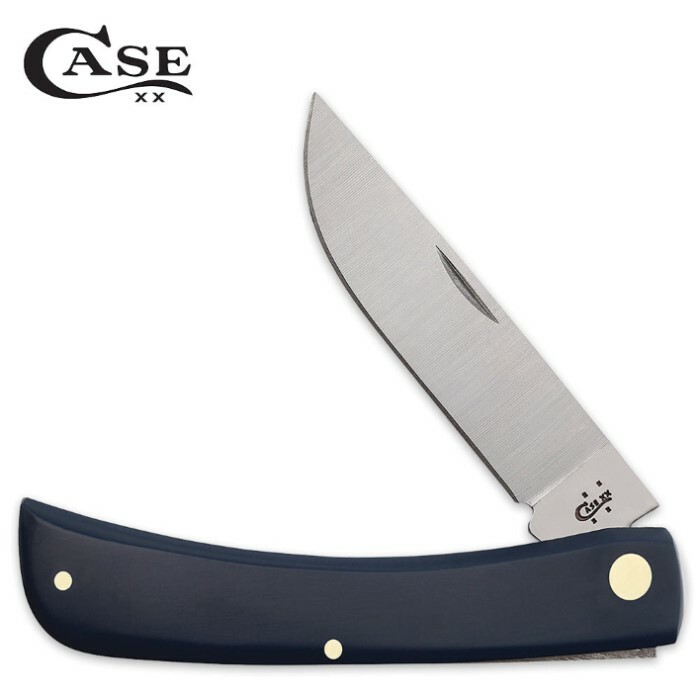 Featuring all the ruggedness and reliability you’ve come to expect from legendary blade builders Case, the American Workman Sod Buster Jr. Pocket Knife is beautiful in its tasteful simplicity and makes a fine addition to any knife collection. The synthetic handle is a handsome deep navy blue, and in classic Case fashion, it resists chipping, scratching and other damage better than perhaps any handle in the industry. The handle is smooth but not slippery, and its bond with your hand improves with each polishing. And since it’s a Case, you know you’re getting blades with sharpness and durability second to none. Amply sized for most day-to-day cutting jobs, while still fitting comfortably in jeans pockets, the Sod Buster Jr. is 3 5/8” closed and features a stainless steel ground skinner blade, carefully forged to last a lifetime and beyond. Like the WR Case Company itself, founded in 1889 by four brothers, the beautiful deep ocean blue American Workman Sod Buster Jr. is sure to become a treasured family heirloom passed from generation to generation in your own family. You won't find lower prices on Case knives anywhere else, so go ahead and get two - one for yourself and one to gift! It's easy and painless on your wallet, and it's sure to be the present remembered by everyone!